« Everything is fine, why do you ask? If I had to pick, one of the most egregious things about HD Radio™ is the fact that it is a proprietary system. Ibiquity owns the licenses for the IBOC HD Radio™ technology. If the FCC were to force radio stations to convert to all digital transmission, like they did with TV, then one corporation would then own the modulation method for all of the radio stations in the country. It would also own all of the secondary (HD2 and HD3) channels by virtue of the password protected software and would, as current contracts are being written, be allowed to inspect the books any time they want. This could lead to some very interesting situations, especially if Ibiquity chose to flex some muscle regarding programming content, formats, music, politics, news coverage, or what have you. Lets not forget, Ibiquity’s investors are large broadcasting companies like Clear Channel, Cumulus, Citadel, Univision, and so on. Smaller broadcasting companies could likely get caught in a go along to get along situation. If you have never played with an HD Radio™ exciter, let me tell you, everything is locked down. Every function needs a password from Ibiquity and there is no way around it. Ibiquity’s proponents dismiss this concern and continue to say “Just wait until the patent expires, then it will be an open system.” Except that the “patent” is not going to expire. Ibiquity owns 70 patents for their IBOC system. Only one patent needs to be in effect for the HD Radio™ system to remain proprietary. The last patent was issued on May 10, 2010. Ibiquity simply needs to make some small change, update, or tweak and they can file for a new patent, which will add another 10 years. This can continue indefinitely. The patent is not going to expire. What is 200 KHz divided by 400 KHz? Not to forget that the NRSC let iBiquity keep *all* codec information out NRSC-5, which at least one commenter (see Jonathan Hardis’ filings in 99-325) suggests also will endow a perpetual patent on HD Radio. The moral of the story is that the federal government has become too intrusive into the lives of American citizens and business, When the big deal about AM stereo made its debut in the late ’70’s, there was this push for a government picked standard as before with FM stereo. But the Reagan FCC startled the industry when it correctly reversed course and let the market decide which system would be the standard. It’s all about freedom folks! There is just too much power concentrated in Washington these days and it has been incrementally increasing in the last 15 years. GE used to have a slogan, “Progress is our Most Important Product”, and that is fine when it is do to private industry innovation. The FCC began as a broadcast frequency coordinator and regulator based upon engineering principles. Later, regulation by treaty rolled in and slowly over the years the agency has become a behemoth of Feudalism, and the result is leading to the demise of free terrestrial broadcasting. There is no way Struble will ever give up control of OUR airwaves. 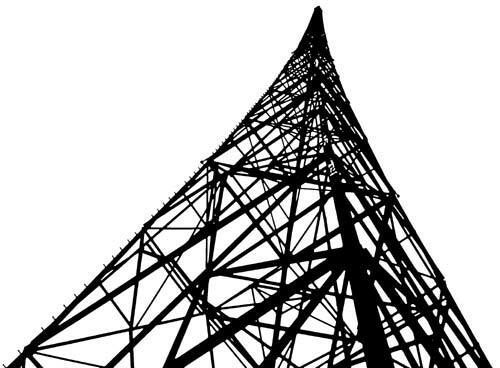 Since there are no spectrum reclamation needs for analog radio, as there were for the analog TV spectrum, hopefully Congress would never act on an IBOC mandate as it would put many of the smaller broadcasters out of business and destroy terrestrial radio. No wonder, besides the costs and inherent flaws in the system, that the smaller/medium broadcasters aren’t investing in this junk-engineering just to have their larger broadcaster competitors inspect their books. Greg, I don’t think much of anything will be happening in congress for the next two years. HD, particularly AM HD will continue its long steady decline. @Paul: I recently read on Inside Radio that with the recent changes in Congress that radio has lost many of its major supporters. This should bode-well for keeping iBiquity out of cell phones. Even if the patents do expire, won’t Ibiquity’s software still be password protected, keeping stations under their control? The only way the patent expiration would open the standard would be if some other vendor stepped in after the patents expire to write from scratch all the software needed to implement this system, and then was able to convince stations to scrap all their Ibiquity equipment for new equipment, and had deep enough pockets to fend off the inevitable lawsuits. But there’s another reason patent expiration won’t likely free things up: all that has to happen is for the FCC to require some changes to the technical standards for IBOC HD Radio, and for Ibiquity to patent the technologies needed to comply with those changes, and you’re locked in for another decade or two. And over the next couple of decades, it’s more likely, rather than less, that the standard will have to be modified for one reason or another.